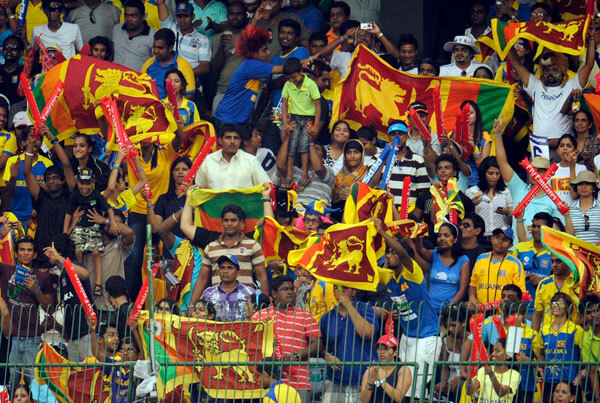 Can cricket unite a divided Sri Lanka? Answer is in the air…will it be caught? 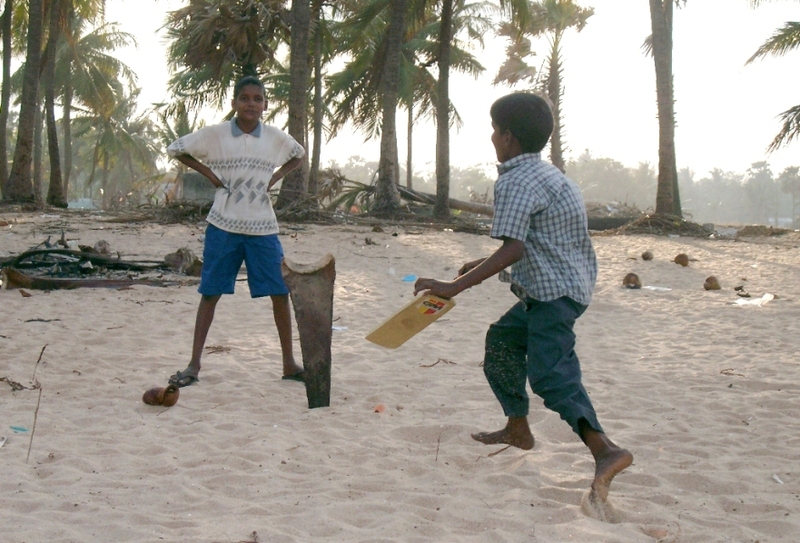 Two boys playing cricket on a beach, with a makeshift bat and wicket. What could be more ordinary than this in cricket-crazy Sri Lanka, where every street, backyard or bare land can host an impromptu game? But the time and place of this photo made it anything but ordinary. This was somewhere along Sri Lanka’s east coast, one day in mid January 2005. Just a couple of weeks after the Indian Ocean tsunami had delivered a deadly blow to this part of the island on 26 December 2004. My colleagues were looking for a survivor family whose story we could document for the next one year as part of the Children of Tsunami media project that we had just conceived. On their travels, they came across these two boys whose family was hit hard by the tsunami: they lost a sibling and their house was destroyed. They were living in a temporary shelter, still recovering from the biggest shock of their short lives. But evidently not too numbed to play a small game of cricket. Perhaps it was part of their own way of coping and healing. More than six years and many thousand images later, I still remember this photo for the quiet defiance and resilience it captured. Maybe that moment in time for two young boys on a devastated beach is symbolic of the 20 million plus men, women and children living in post-war Sri Lanka today. We are playing cricket, or cheering cricket passionately and wildly even as we try to put a quarter century of war, destruction and inhumanity behind us. And at least on the cricket front, we’re doing darn well: the Sri Lanka national team beat New Zealand on March 29 to qualify for the ICC Cricket World Cup finals on April 3 in Mumbai. We’ve been here once before – in March 1996 – and won the World Cup against many odds. Can we repeat or improve that performance? We’ll soon know. Of course, rebuilding the war-ravaged areas and healing the deep-running wounds of war is going to be much harder than playing the ball game. My friends at Groundviews is conducting an interesting informal poll: World Cup cricket aiding reconciliation in Sri Lanka: Fact or fiction? A few days ago, Captain of Lankan cricket team Kumar Sangakkara described post-war northern Sri Lanka as a scene of devastation after paying his first visit to the region. People of the north have been deprived for 30 years of everything that is taken for granted in Colombo, he told the media. He toured the north with team mate and wiz bowler Muttiah Muralitharan, who is patron of the Foundation of Goodness. The charity, itself a response to the 2004 tsunami, “aims to narrow the gap between urban and rural life in Sri Lanka by tackling poverty through productive activities”. Cricket has indeed excited the 20 million Lankans from all walks of life, and across the various social, economic and cultural divides. It has rubbed off on even a cricket-skeptic like myself. We will soon know whether the Cricket World Cup will be ours again. Whatever happens at the Wankhede Stadium in Mumbai on April 2, we have a long way to go on the road to recovery and reconciliation.